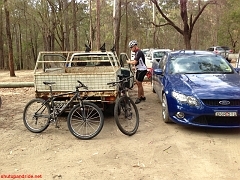 Well, well, well... a return to the domestic equivalent of The Great North Road... that is, the spiritual home of shutupandride when not travelling real far! 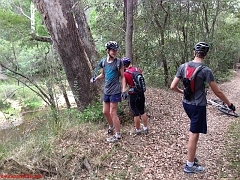 Simon, Toby, Waxhead (Andrew?) 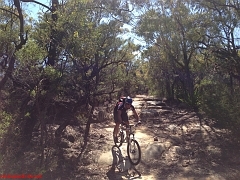 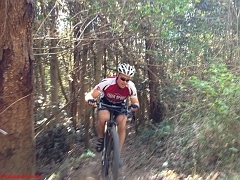 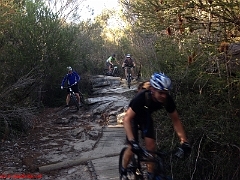 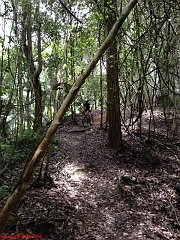 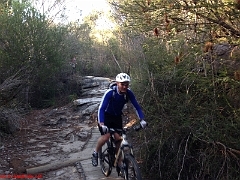 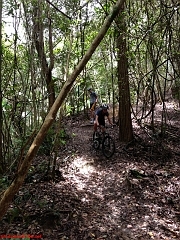 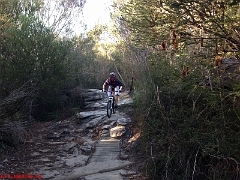 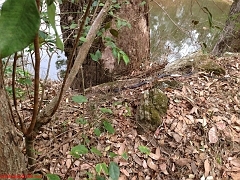 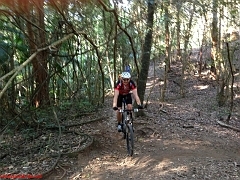 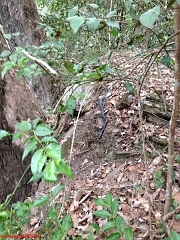 joined Stephe to cruise around Redhill, over to Oxford Falls, and experiment on new ways out. 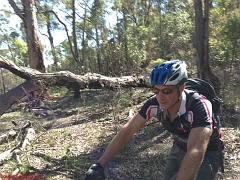 Toby also demonstrated that general physical skills translate - on his third ever ride, he was jumping / rolling / cruising along with everyone else. 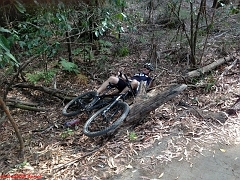 Bugger, eh! 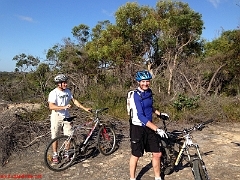 Simon and Stephe rode as well as they could in such esteemed company - it was just good to be out. 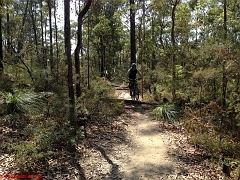 And, a Strava route here (naturally, we walked our bikes carefully at all relevant protected areas...). 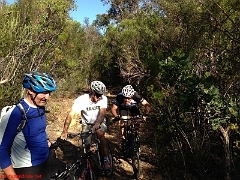 So, Simon, Dave and Stephe decided to help him out and check out Old Man Valley. 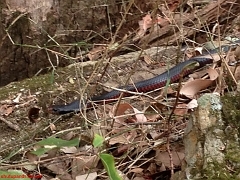 He had a very big smile. 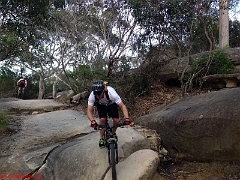 Although, did manage on OTB into a tree, which is always a good thing to do early - the mountain bike gods certainly wanted to make a point about hubris, and he's back to the happy and humble Toby that we all know and love - even while riding like a legend! 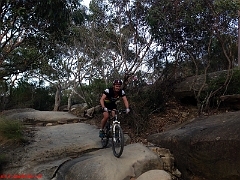 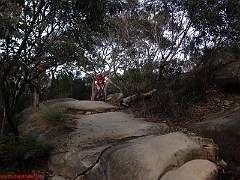 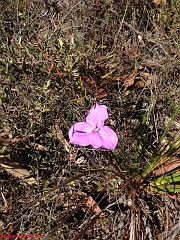 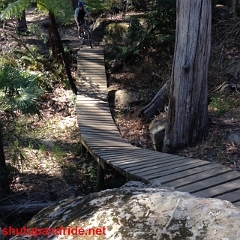 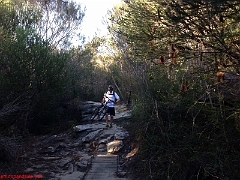 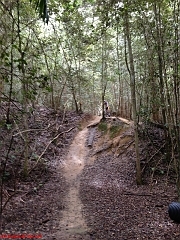 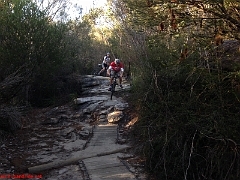 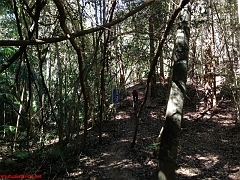 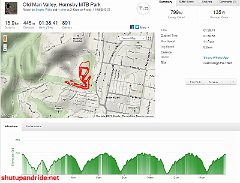 Ian, Simon and Stephe checked out Old Man Valley in Hornsby. 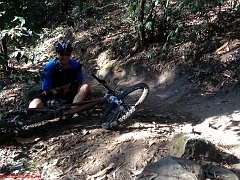 Turns out, it was tiring! 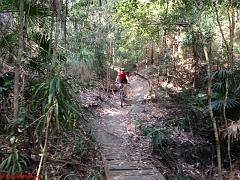 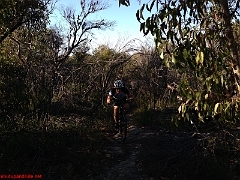 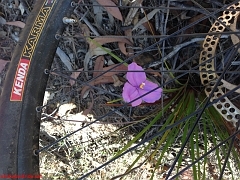 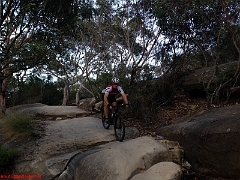 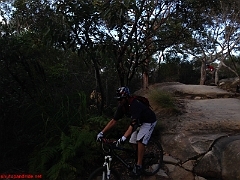 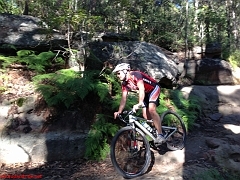 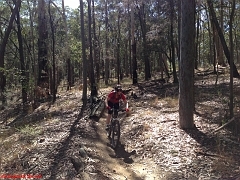 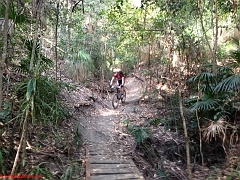 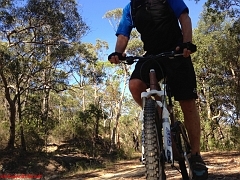 NicMcVic and Stephe managed to get out to Ourimbah for some quick laps. 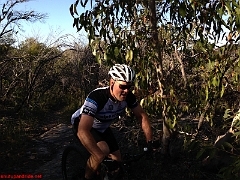 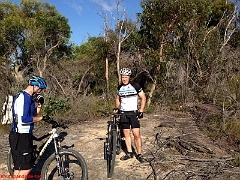 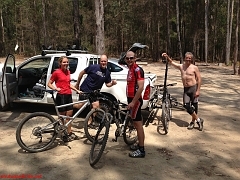 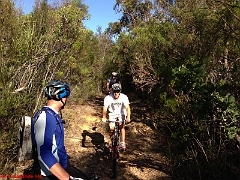 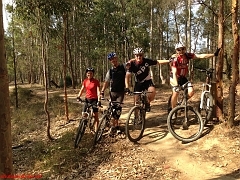 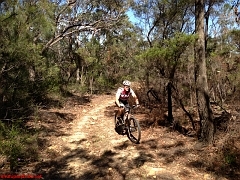 Stephe joined Bec & Ian, Dave, and Simon on a great Awaba ride! 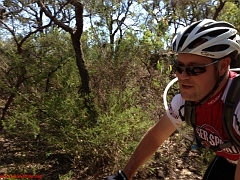 Was very cool, heaps of fun, and a glorious day. 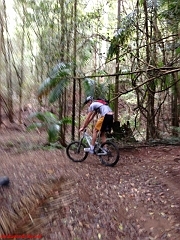 Turns out Awaba is an excellent track. 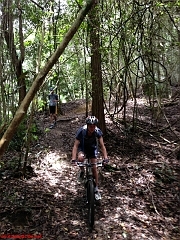 Simon demonstrating that it ain't all plain sailing, and Dave showing it is! 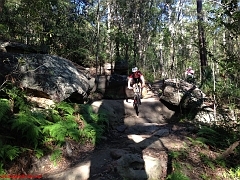 Strava track here: lap 1, and lap 2.